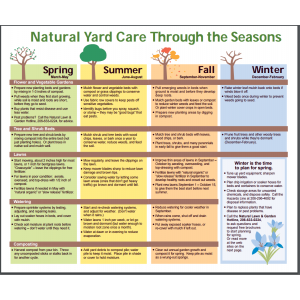 Here are more tips and ideas about Natural Yard Care for your Pacific Northwest yard and garden. 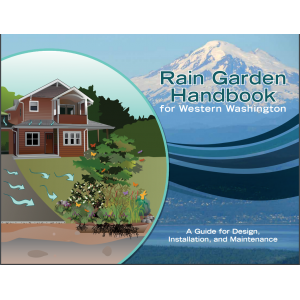 A Guide for Design, Maintenance, and Installation of a rain garden that collects, absorbs, and filters rain water runoff. 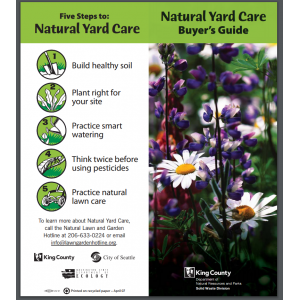 El cuidado natural del jardín, Cinco pasos para hacer su pedazo del planeta un lugar más sano para vivir. 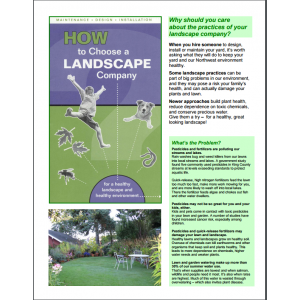 Easy practices for healthy lawns, healthy families and a healthy environment. 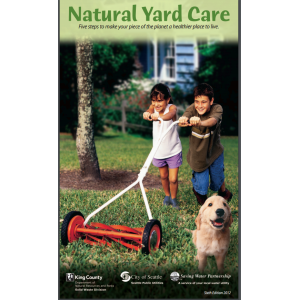 Natural products will help create a beautiful yard while protecting the environment and conserving resources. 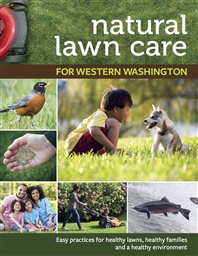 This guide offers natural care alternatives that get the job done in a safe and healthy way.